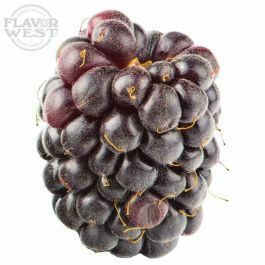 This flavor displays the big boysenberry natures, quite glossy and slightly sweeter than other berries flavor. The distinct uniqueness of boysenberry flavor makes it easier to be noticed. Type: Boysenberry Water Soluble Flavoring. Ingredients: Natural and Artificial Flavoring, Propylene Glycol and Ethanol. USP Kosher Grade Flavoring. Usage Rate: 15-20% for E-use. Flavor suitability: Desserts, pastries, yogurt, ice cream, drinks and beverages, candies and more. Specific Gravity: 1.04 No Refunds on Flavoring.